What's the Best Way to Occupy Yourself on a Long Boring Drive? It's motoring misery at its most abject. Any sane person copes with the monotony by taking it as fast as possible, around 85-90 MPH, not letting anything slow your progress. Flying along at a good clip, you may suddenly feel like you're coping with pioneer oxcarts. Slowpokes! Don't take your foot off the gas. Just weave through the clods. You'll have some close scrapes, but that's what makes it fun. I've never tried it because I can't handle the stress. I set my cruise control at 65-70 and brace myself for a long battle with tedium. Poking along in the slow lane, anything that catches your eye can keep you from zoning out. That's some big gob of geological glop in the middle of nowhere between Baker and Barstow. This thing's bound to get your attention even if white line fever has put you nearly to sleep. These hills appear to be slowly eroding into dunes. ...the impressive Mountain Pass Mine, where they unearthed such rare-earth ores as bastnasite, cerium, lanthanum, praseodymeum, neodymium, europium, yttrium, samarium, gadolinium, dysprosium, terbium, holmium, erbium, thulium, ytterbium, lutetium, and dyspepsium. These ores are essential for cutting-edge science and technology. With our typical laziness and complacency, the Mountain Pass Mine was allowed to close, leaving China a near-monopoly on the world's supply. Someone suddenly woke up and realized the strategic implications, so now we're scrambling to reopen the mine. I'm not suggesting any of these points of interest as a side trip or a place to stop along the way. Or even to slow down and look at. As I said, the sensible thing is to take the drive as fast as possible, escape the desert like the hounds of hell are at your heels. These are merely suggested as possible topics to ponder as you fly down the freeway. 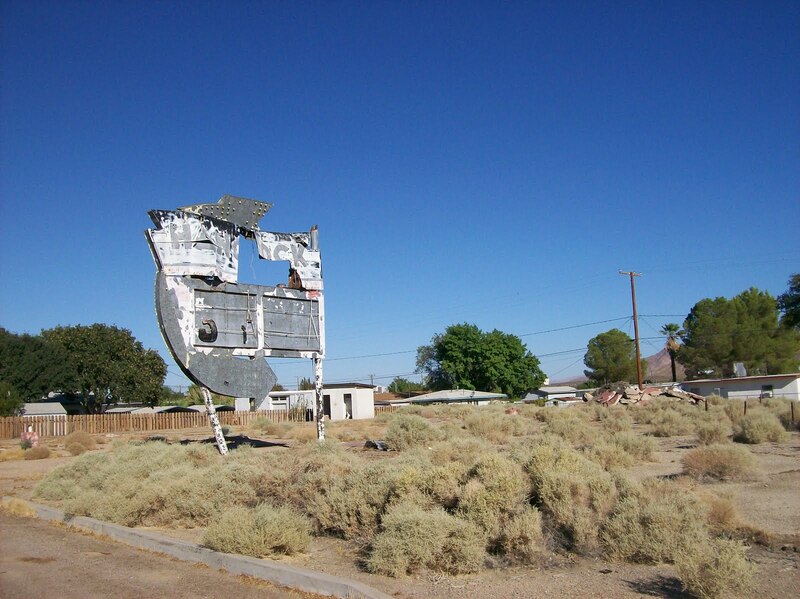 For example, Yermo. It's possible to make the drive time and again without even realizing there is such a place as Yermo. Yermo? What language is that? It sounds like a desolate outpost, a lonely whistlestop. The name of the 4th Stooge? 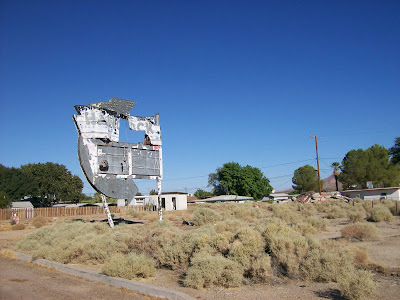 As you whiz by, consider that Yermo is actually noteworthy for a couple of things. The Del Taco fast food chain was founded in Yermo. The original outlet still exists but now it's called the Burger Den. The people who founded Knott's Berry Farm got their start there. 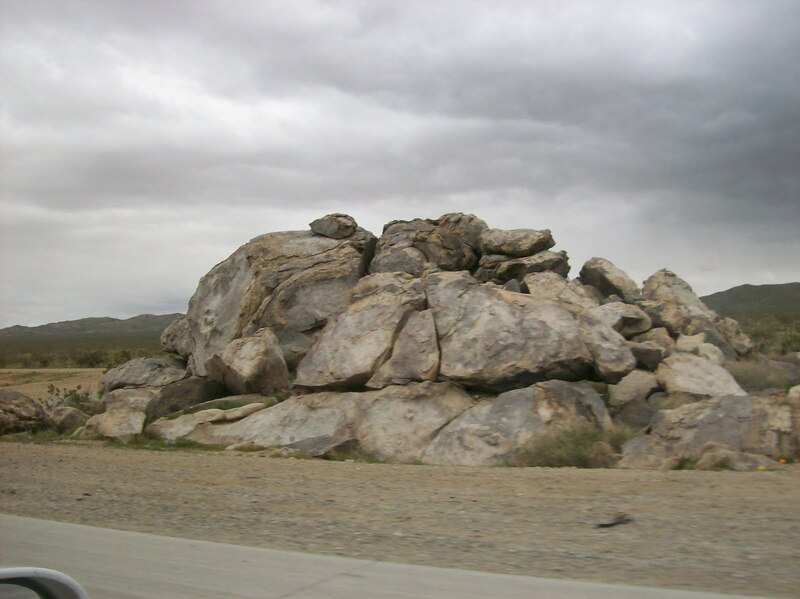 Yermo is home to a world-class rattlesnake habitat. 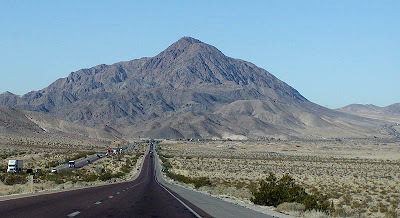 Scenes from movies were filmed around Yermo, including Hulk (2003) and Letters From Iwo Jima (2006). Unless traffic is light, they likely will wave you through. They would stop more cars but they don't want to be responsible for freeway carnage. With the buildup of traffic on I-15, stopping lots of cars causes a dangerous backup. NASCAR wannabes zipping along at 115 have trouble stopping in time to keep from slamming into the lineup of stopped cars. Those killed would be law-abiding innocents, of course. The department of agriculture is planning a new, safer station on the approach to Mountain Pass, one that will handle more traffic and somehow alert the speeders that they need to stop pretty soon. Don't be afraid to admit having fruit in your car. Contrary to popular belief, they don't routinely confiscate produce. They may only inspect it. You don't get in trouble for bringing fruit into California. They don't take you into a darkened interrogation room and work you over for having a papaya in your trunk. 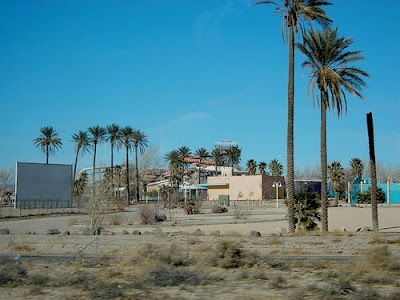 It's hard not to notice the abandoned water park near Barstow. The first thought: What lunatic thought that was a good idea? Was it some sort of money laundering scheme? It's one of those crackpot enterprises that would only happen in the California desert, where the sun bakes the brains of zany entrepreneurs. Called Lake Delores Waterpark when it opened in the '60s, the facility pioneered the water park concept. It featured innovative thrill rides and a JetSki racetrack. After closing in the late '80s, the park was briefly revived under the name Rock-A-Hoola. It had its last gasp in 2000 and has been gradually dismantled since. Efforts to revive the place have flopped. Too many dreamers ready to pour money down a swimming hole. As a service to readers, I tried to find out the story behind the ditches. 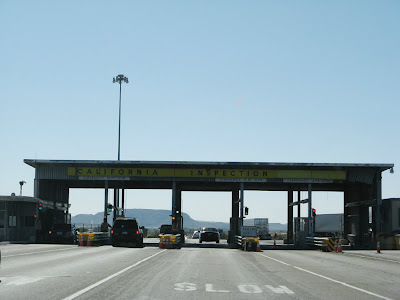 I contacted Caltrans and a two-bit desert historical society. My quest came up empty. The best they could offer is that the ditches were named by pioneer miners and settlers. So how did Caltrans get the ditch names in the first place? Why would pioneers who had plenty to contend with just surviving the desert trek trouble themselves to name some stinkin' ditches? That knowledge is lost to the ages. The old-timers at the historical society are experts in every conceivable facet of desert trivia, but they draw a blank when it comes to names of ditches. As if to justify his ignorance of the subject, one of the folksy curators said, "Yeah, we don't get out to Vegas much. Pro'ly haven't been there in 40 years." Zig-zag your way through the slowpokes. 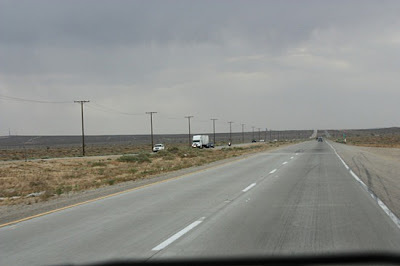 Barstow is a dreary place, to be avoided if at all possible. I've never talked to anyone who thinks there's much to like about Barstow, even if it is mentioned in the catchy tune "Route 66." If you're hungry, get as far down the freeway as you can before you stop. If you're heading for Vegas, hold out until Sin City. It's not just Barstow. Any stop along this drive is bound to leave you dissatisfied and cranky. 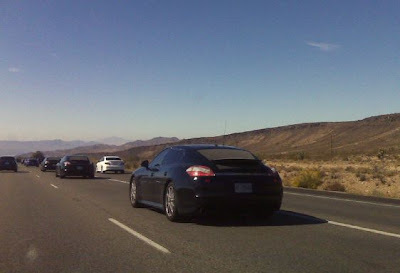 Barstow has one redeeming feature, however: The shortcut to Big Bear. It's a boring drive down a desolate country road, but it shaves several miles off the freeway route. Here's the map. I contacted Barstow's chamber of commerce to suggest they promote the shortcut ("Backdoor to Big Bear"), but they didn't reply. Bastards! Victorville is a modest desert community at the top of Cajon Pass. It is perhaps most noted for the Roy Rogers Museum. The town had a simple mission: Support the one enterprise, other than gas or food outlets, that might make someone want to pull off the freeway and visit your drab settlement. Victorville failed. A disgraceful record of futility. Obviously a community sadly lacking in civic pride. 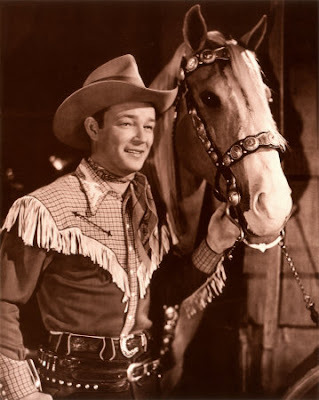 For younger readers, Roy Rogers (King of the Cowboys) was what they call a "matinee idol." That means he was a leading movie star in his day. Rogers was a popular cowboy actor and singer. He starred in "westerns" (aka horse operas), movies about the wild west. Westerns held the public's attention the way medical and cop shows do now. Roy Rogers made a slew of westerns from the 1930s to the '50s. His movies and a TV show featured wholesome family values that have since fallen into disfavor. His sidekicks included his cowgirl wife, Dale Evans, his noble steed, Trigger, and the wonderdog, Bullet. He sang duets with Dale ("Happy Trails to You"). The Roy Rogers fast food chain is named for him. Roy Rogers is linked to Victorville because it was a filming location for some of the westerns he appeared in. He had a home in nearby Apple Valley. The museum debacle is a double slap in the face for Roy since his principal rival, Gene Autry, still has a thriving museum near Griffith Park in Los Angeles. Like Roy, Gene was a popular singing cowboy of the era. In box office popularity, Gene and Roy were sort of the Tom Hanks and Tom Cruise of their generation. But Gene eclipsed Roy in the production of hit records. Gene's "Here Comes Santa Claus," and "Frosty the Snowman" are still heard. Gene owned TV and radio stations. While Gene's business empire far surpassed Roy's, he had his own dismal record of failure to live down. In the 36 years Autry owned the California Angels baseball club, the team did not win a single pennant, though they came tantalizingly close a few times. Since Victorville was on the side of a worthy underdog like Roy Rogers, you would think they might have been inspired to rally around their hometown hero. Roy's museum might not have been a fancy-pants institution like the Autry Museum of Western Heritage but it was pretty gosh-darn dandy for a small place like Victorville. But no. They gave up without a fight because Victorville is just a wide spot on the road to somewhere else, without the vision to make something of themselves. Victorville has a self-sustaining economy based on consumption. The people who work at WalMart all eat at McDonald's. McDonald's employees all shop at WalMart. The people who work and shop at WalMart and eat and work at McDonald's also shop at Best Buy, and so on. Money circulates through the economy in an endless cycle. The same dollar can be counted as income by myriad enterprises. All boats are floated save one: Roy's modest cowboy museum. After 36 years, the Roy Rogers Museum had to skulk out of Victorville in the dead of night. It resurfaced in Branson, Missouri, in 2003. It had a happy home there until it closed for good in 2009. With Roy's museum now defunct, the only worthwhile roadside attraction in the area is Elmer's Bottle Tree Ranch on Route 66 in the nearby town of Oro Grande. A visit to Elmer's lets you bypass Victorville altogether, which would serve them right for letting old Roy down. July 2010 Update: Trigger, Bullet, and other contents of the Roy Rogers collection have been sold at auction, completing the dispersal of a venerable trove. Nice going, Victorville. Your disgrace is now complete. Probably the most noteworthy Victorville resident was Dock Ellis, one of the most colorful and unconventional players to ever take the diamond. Wikipedia, the free encyclopedia, has an excellent article on Ellis. Among his accomplishments: Pitching a no-hitter in 1970 while high on LSD. 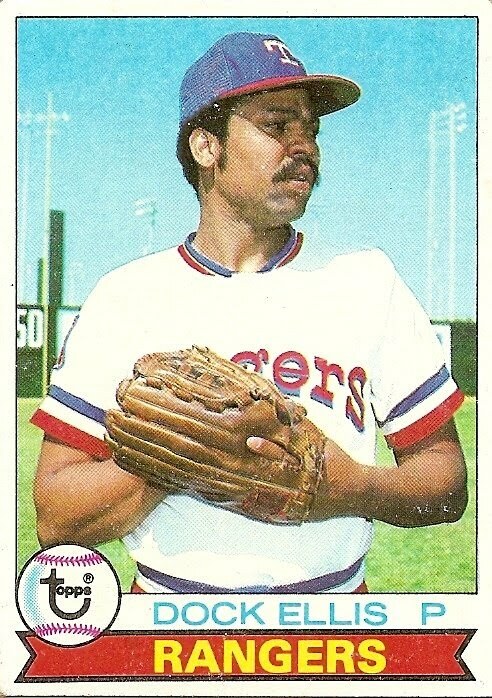 Victorville is seriously remiss in not declaring Dock Ellis Day. Show some pride, Victorville! 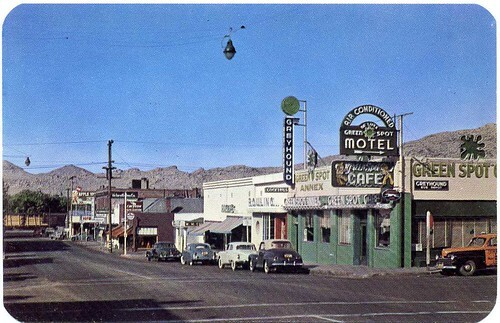 Green Spot Motel Postcard, originally uploaded by The Real Devil Doll. For you movie buffs, legend has it that the first draft of Citizen Kane was written in 1940 at the Green Spot Motel in Victorville. Orson Welles banished writers John Houseman and Herman J. Mankiewicz to the desolate outpost to shield them from Hollywood distractions (all-night parties). Once you fly down the pass, you're home free, ready to join the fracas that is LA traffic. Good luck. 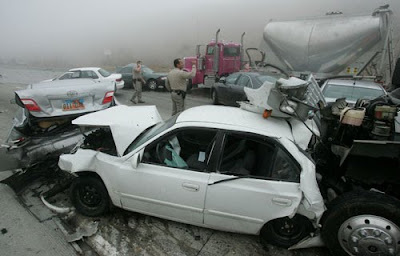 Returning to Vegas from an outing to lovely Yorba Linda, we narrowly escaped a major pileup at the top of Cajon Pass. About 7:30 on the morning of June 10, 2009, a fog bank cut visibility to zero. We slowed down and pulled to the right. Traffic zoomed by as if conditions were normal. Now the worry was being slammed from behind. I wasn't about to mix it up with these maniacs. I found an exit that led to a quiet country road. Seconds later, there was a 30-car pileup. A newspaper story said "a tractor-trailer rig failed to stop in time." That's a news writer's way of saying the idiot driver ignored the fog and kept going full speed. It's no surprise to me. I've seen this behavior over & over. Your typical moron has a hard time taking his or her foot off the gas. I was in Yermo once. My VW threw a steering rod nearby. Recently I heard the truck stop diner burned down. I didn't eat there, but I'm not sure why anyone would stop there now. I didn't know about the diner. I'll have to investigate next trip. you forgot to mention calico ghost town. Thanks for reading, Anonymous. I only write about something if I have an opinion. I don't think I've been to the ghost town. Another reader said I should have mentioned Peggy Sue's 50s Diner and Zyzzyx Road. And what about the outlet mall? If I ever have anything to say about these places, I will write something. I count the following ditches heading into Baker: Young, Flat, Midway, East, Long, Bird, Dock, Tono, Marl, Opah, Turtle, Oat, Tork, Case and Sheep. East of Baker, Baker Inn, Pano, Berry, Mobi, Dale, Windmill Station, West Valley Wells, Valley Wells, Mescal, Clark, Mohawk, Micro, Ivanhapah. Hah, I too have been wondering about the names of the various washes, creeks, and ditches veined through California's deserts. I'll try to contact CalTrans myself on this matter. I have garnered an interest in these names in my past 8 or so years traveling between LA and LV. Attentive readers will note that I said two names are fictional. Bangla Ditch is one. A game we play as we make our way along the World's Most Boring Drive is to MAKE UP funny names for ditches. Sonofa Ditch, for example. We thought Mobi Ditch and Sheep Ditch were hilarious phony names until we drove further and found out they are REAL ditch names. Go figure. Anonymous has done a great job cataloging the names of ditches. And to think, most drivers zoom along without even noticing this weird ditch fixation. I always wondered why there was a waterpark in the middle nowhere & why it was always empty. I'll agree its a pretty boring ride, but not as bad as the interstate thru SD & Wyoming. I'd rather look at desert than rolling plains any day. Enjoyed the article! What's with the pile o rocks on each side of hwy? Too big for work of bulldozer? The rock pile is a geologic formation known as an inselberg. Really enjoyed hearing all the information and comments. Maybe you could do a summary on I40 going towards Lake Havasu City, AZ. That 3 hours from Barstow to LHC has I15 route beat for boredom. It does make one wonder about the conditions that created such scenery in the desolation.